What if you could pull out a special recipe and put together a viral video that wows your audience? What if you could discover the secret sauce that turns out winner after winner? Content creators and small business owners would love to discover a magic formula that will transform their content marketing strategies. You’ve probably come across Buzzfeed’s Tasty videos while scrolling through your Facebook feed. Specifically designed for social media sharing, these videos are short, sweet, informative, feature mouth watering dishes, and tend to go viral consistently. Their success is really paying off and Buzzfeed’s social video offerings now make up about half of their annual revenue. Viral videos gather traction quickly and are shared multiple times through social media, reaching people who wouldn’t normally see your content. Sometimes, they’re picked up by larger publications and syndicates and keep spreading like wildfire. So how to make a viral video? Now we get to the hard part. Apart from a few lucky flukes, most viral videos are the result of a lot of work combined with a sprinkling of luck and a dash of impeccable timing. Making a viral video is a lot like cooking. Having a good recipe and the key ingredients makes it easier to get it right, but you’ll still struggle the first few times you try it. As you get used to your equipment and get to know its quirks, the food begins to turn out better and better until you’re creating amazing dishes on a regular basis. The techniques and insights we’re sharing here aren’t a quick fix or a guarantee. Adding the ingredients together and stirring a couple of times doesn’t mean you’ll succeed. Instead, these tips are the foundation you can use to create your own secret recipe. Attention span? What attention span!? Remember that viral Microsoft study that said human attention spans were now less than that of goldfish? Our attention is increasingly in demand. Advertisers, entertainment networks, family members, work responsibilities and cute animal videos are constantly fighting for their share of it. Like the social media platforms they’re shared on, viral videos are interruptive. You don’t go to YouTube or Google and search for them. They appear in your social media feed and need to fight to break through the noise and earn your attention. That’s why short videos work so well. You can easily justify taking 60 seconds to watch the inspirational story of wolves being reintroduced to Yellowstone park or the latest delectable recipe from Tasty your friend just shared. But, the longer the video gets, the harder it is to explain to yourself why you aren’t working on that project that’s due tomorrow! Simple, clear and succinct content works wonders. This is true when it comes to creating a high conversion landing page or a super shareable blog post and it is definitely true when it comes to creating a would-be viral video. Before you start, define what your video is about and focus on getting that point across as clearly as you can. A little while back, we interviewed Zina Magomet from Greater Minds, a group that focuses on creating inspirational videos. They used Biteable to create short videos that got over 30 million shares! Zina attributes their viral success to focusing on giving their fans something valuable. “When we ensure that every post is focused on “going to give”, it turns into a tidal wave of more likes, shares, comments and, of course, new fans. In everything we do (sending emails, making videos, producing adverts) we “go with an attitude to give” rather than an attitude to get.” This attitude is key! Effective videos are intrinsically useful to your audience. So, whether you’re entertaining, educating or informing, make sure your videos are helpful to your viewers. You can check out the full interview with Zina here. 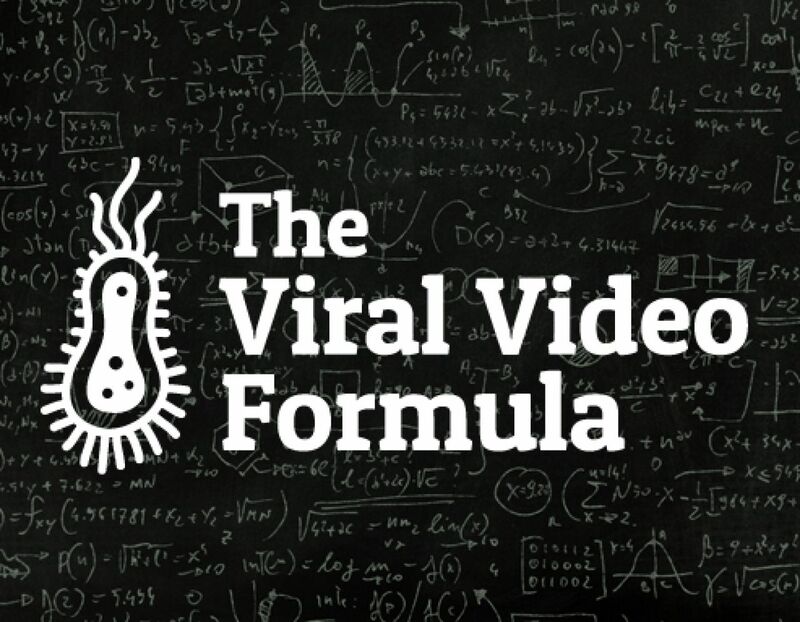 Maximize the chance of creating a viral video by optimizing it for social sharing. Make sure your video is the right format for the platform it’s on by taking into account how people are watching your videos. About 85% of Facebook video is watched without sound, and at the tail end of 2016 they had 1.09 billion daily mobile users, a number that’s been steadily rising every quarter. So, create mobile-optimized videos that capture the user’s attention within the first few frames for the right reasons! When your followers share your video on social media, the first thing their followers will see is your thumbnail. This is especially true for social media platforms that don’t use autoplay! Create a thumbnail that captures the essence of the video and demands a click. If you can, avoid using text because it can look a bit blurry on certain screens and in specific formats. Every video needs a click-worthy headline. You don’t have to use clickbait titles if that’s not a part of your branding, but you still need a powerful headline that walks the line between clarity and curiosity. The title needs to set expectations for the video. Some people rely on curiosity while others tap into how the video would make you feel. The key is to figure out what works for your audience and tease out a strong emotional reaction. The video creator behind Tasty, Alvin Zhou, carefully studies and interprets all the sharing data for every single video and uses it to create better, targeted and even more shareable content. The video process doesn’t end once you’ve hit ‘Publish.’ The secret to viral video is knowing your audience and exceeding their expectations. Studying the video stats and sharing analytics is key to creating more powerful videos in the future. Theory can be useful but, while the points we covered above are an essential part of creating a viral video, some of these will feel like common-sense advice to video creators. After all, this is what we do for a living! We know the importance of engaging our audience, providing value and formatting the video during the editing process! That isn’t the hard bit. The real challenge is pulling all these elements together and creating a viral video! You can use eggs, sugar, butter and flour to make a delicious cake. You can also just as easily use them to make a dish even your mother would (very politely) decline. So, in the spirit of promoting great cake, let’s take a look at two successful viral videos and the elements that make them work so well! One was made by a professional crew and the other using the Biteable platform. This video uses all our key ingredients. It’s short and sweet, and has a single purpose: to teach the viewer how to make cloud eggs. It’s the right format for YouTube, the thumbnail is on-brand and catchy, and it provides value to the channel’s audience! Made with Biteable, this video got over 31 million views on Facebook alone! It was quick and easy to make, yet it gave viewers real value despite running for just over a minute. It tackled a single point: the struggle of getting through the hard times, and offers uplifting, actionable advice. Don’t use your small budget or lack of fancy cameras as an excuse to avoid making powerful videos. We’ve seen great videos transform all kinds of businesses, increasing conversions and reaching more people. That’s why we offer a selection of optimized templates to give you the right foundation for getting started. As the Greater Minds team proved, viral video doesn’t have to be complicated. The videos they make for their Laws of Attraction Facebook page are a simple combination of music, text and purposefully chosen images. With the right template and a bit of time, you too can create something exceptional!